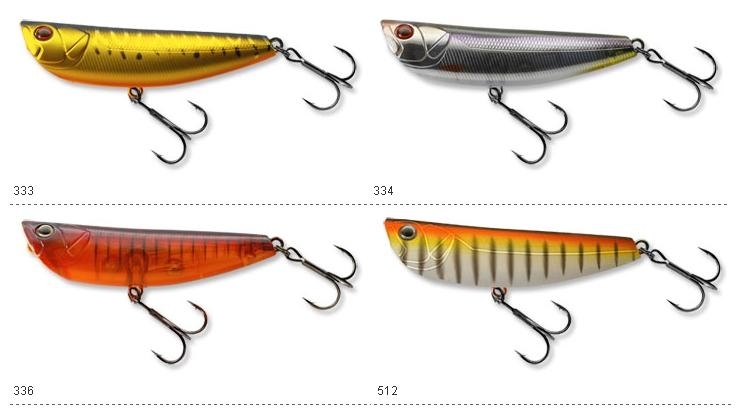 The TP is a large popper for catching big fish in both fresh and salt water. With the TP simple twitches of the rod creates large “bloop” sounds on the top water to attract and ultimately hook fish. Designed for ease of use, its “walk the dog” action is easy to produce and comes ready with top of the line components so it can be used straight from the box. 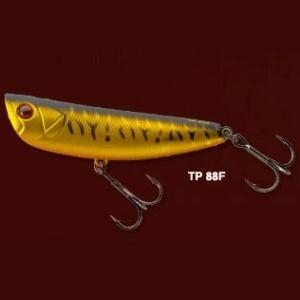 Whipping the rod on the retrieve, causes the TP to walk in a “Crescent Moon” path and the moving “side to side” weight topples the TP to make it look like an injured bait fish lying on its side on the surface of the water.